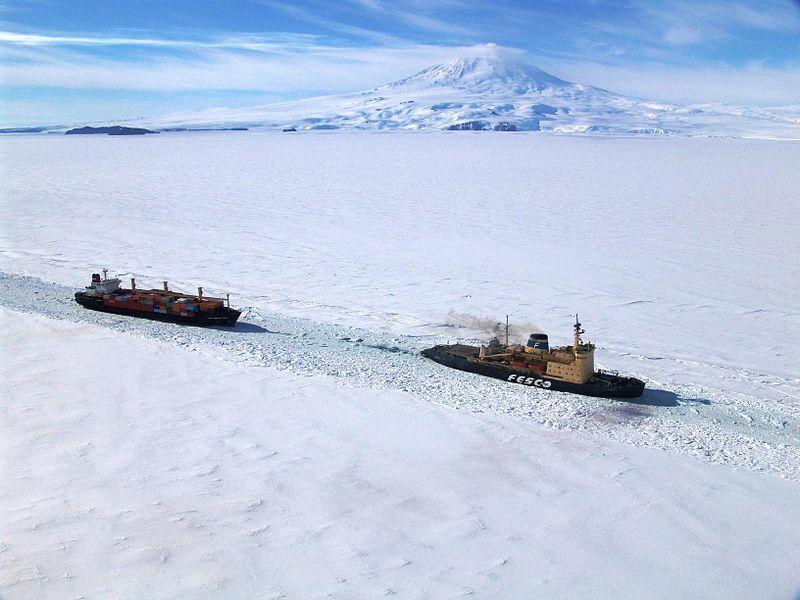 We received official notification from the National Science Foundation this weekend that the United States Antarctic Program has secured the Vladmir Ignatyuk, a diesel powered Russian icebreaker, for use this season. What is an icebreaker, you ask? Icebreakers are special ships designed to crush through ice covered waters like those surrounding the Antarctic continent with intense momentum and propulsion. When the bow of the ship is thrust onto the surface, the great weight of the vessel pushes down on the ice, breaking it. The hull of the ship is stronger than that of a normal one, and the shape of it is specially designed to clear ice debris from its own path to protect the external components of the propulsion system. About a month back, contractors like Daniel and me were notified that the icebreaker the program has used for the past few years was no longer an option for the program, I think because it is to be used for Arctic oil drilling missions. But what that meant for us was that without the icebreaker, our cargo ships could not make it to the coast, and without cargo (read: food, fuel, inventory to keep the stations supplied, particularly McMurdo and South Pole), the stations couldn’t support their normal staff levels, and our jobs might not exist (especially not my job, which this year is inventory based). The acquisition of this ship is pretty important, so this is great news!